Mon. Jan 30, 2017 Beginning to see a pattern here, snow here again in the high country. Len Worsham, Rick Trautman, and I are getting ready to step into the water. 25F, heavy snow, and a lot on the ground will make for some fun today….I love it. Will post more later, I think it will be good…..
Winter is Back……a Day in the Snow…. Sat. Jan 28, 2017 A day or so ago I mentioned we’d be going back to a winter weather pattern…..did we ever. I did a Friday float with client David Horky…..a South Holston float trip. David and I did a long float on the Soho, 10 miles, it was chilly to start, snowed pretty much the whole time and at times was so heavy and wind driven you could not look downstream. A hard driving snow about half of the time, and when you combine that with winds up to 30mph it adds up to a pretty raw day. Coldest day of the past year and definitely the coldest of 2017 so far. We still did ok though. We did not see a single riser in several places I expected to see some so we chucked streamers and did some nymphing. Nymphing would prove to be the best approach and we caught a good many fish that way and lost several too, a couple of which were larger browns. We floated 8 miles before seeing some risers, and there were a lot of blue winged olives coming off…..and a lot of fish rising to them further downriver. We fished to risers for a while but they were tough and the windy conditions made it tough to get a decent presentation. We fished a while there and there were a lot of rising fish but we decided to move on to takeout as it was getting dark and we were concerned about the snow and being able to get the boat out ok. Great day spent with David, it was tough today but I think we caught more than the other folks on the water, and today, with the raw conditions that was a feat and I was pleased with caught fish at all. It was about as tough and challenging conditions as you could have asked for. Another winter weather event on tap for Sunday night and Monday, 1 to 3″ of snow again and 3 to 6″ at elevations of 2000 to 2500 feet. This one is potent but short lived, a mega version of an ‘Alberta clipper’, which is the way we get a lot of winter snows….a NW flow event. I have a busy week, four trips four days in a row. Doing a small stream trip on Monday with Len Worsham and Rick Trautman, Greensboro, NC, and Tuesday a Catawba R trip with Dr Ken Karb and Dr Pat Burney, Greensboro, NC, another TN tailwater float trip with Ted Linczak, Summerville, SC, and a Thursday trip to one of our VA private waters with Client Paul Wagner, Madison, NC. Should be a great week with lots of reports. Wishing everyone a great week…..Tight Lines! Thurs. Jan. 26, 2017 Just can’t hide my excitement, yes winter is returning. In my opinion, the fishing will be good…better than it has been. It just isn’t normal to have 70F plus temps in January. Can’t remember the last time we had this many warm days right after zero degree weather and heavy snow. Weird. I had a trip planned for muskies with Jim Noble, Charlotte, NC, and JP Grice, Charlotte, NC, on Va’s New R going after some musky, but with all the rain, melting snow, and saturated ground river conditions were blown out. Flows went from an ideal 3000cfs up to 6500 then to 12,500cfs and a river rise of over 7 feet. Whew……We decided to pull the plug on it, probably best as not only was the water not in good shape for a musky float I have been fighting a flu bug that will not relent and am still not up to speed. Today , Thurs 1-26 is the last nice day for a while, looks like a return to more seasonable weather….windy, cooler, and some snow chances for the mtns coming up over the next few days. These are the types of things that where snow can pile up over a number of days. They are NW flow snow showers, which can be pretty vigorous. Sometimes when I am in and putting in computer time I come across some great videos…I’ll share. Here is a pretty neat video if you have not seen it…. Small streams are shaping up again after some really high water since Sunday. We got between 2 and 4 inches of rain and pretty much the only fishing in the immediate area has been on the tailwaters Watauga and South Holston. On the Wag’ they continue to sluice a constant 150 to 160 cfs which is ideal for midges, blue wings, and small black stones. The warm temps quelled much of the stonefly activity but I expect that will change. The midges and blue winged olives continue to come off, and I’ve done well there with clients on their imitations as well as small dark caddis patterns. The Soho is or will be floating for a while, due to the runoff from recent rains making it to the lake. 15 to 20 hr a day generation the norm right now on the Soho, and that will continue until they get rid of the water. But that means great floating and I’ll be doing a float tomorrow with a client David Horky from Greensboro, NC. Should be a great day. Have a great one…..tight lines! Sat. Jan. 21, 2017 A finished report from yesterday…..had a great day with my client Ron Davis and we fished the Watauga to start and did pretty well. Cool in the morning but mild for January, and wet…..there were lots of olives coming off with the cloudy and mild weather. We had a good day landing a couple doz good many browns and rainbows on nymphs. We did well nymphing with a double rig using a tung head caddis and micro caddis dropper. Caught some beautiful browns and rainbows, all wild fish. We fished a long stretch of water and then took a lunch break, then headed over to the South Holston for some fishing in the afternoon, knowing that eventually we’d probably have rain to deal with. Never did get the rain, we did get into some fish…..all rainbows, and caught the first couple on dries. After that, we caught the rest of our fish on nymphs, zebras, strippers, etc, and the last fish, a brown, we nailed on a dry. Rain held off til we could get off the river, so all in all a great day. The warm weather is coming to an end though, and as much as folks like it, I’m not a fan and am looking forward to a more seasonable weather pattern. Have a busy week coming up, a few trips, but watching the weather for sure. Saturday’s rain was not quite as bad as called for but still plenty wet. The main round of weather coming late Sunday night, where we could have the potential for severe weather and heavy rain. Nice Day Before the Rain…..
Sat…Jan.21, 2017 Been a great day so far, met my client Ron Davis and we are fishing the Watauga in TN and doing pretty well. Lots of olives coming off with the cloudy and mild weather. We have had a good day so far landing a good many browns and rainbows on nymphs. Nymphing with a double rig using a tung head caddis and micro caddis dropper. Caught some beautiful browns and rainbows. Now over to some afternoon fishing on the South Holston….. Continued Warm, Great Nymph Fishing…. Fri. Jan. 20, 2017 Warm weather is continuing, warmer than I prefer. Mainly because its not normal or ‘seasonable’. I always get questions as to why I don’t like warm weather in the winter……the main reason is just that. Its not the norm, fish like stable or ‘normal’ or steady….whatever that is. Or at least fishing for them around here is most easily accomplished if things are steady. If cold, stay cold…..if warm , stay warm, if wet, stay wet…you get the picture. It is when things fluctuate wildly back and forth that things can get out of whack. Fortunately over the years I have learned many ways of dealing with that to keep my clients and myself consistently in fish. But ‘normal’ is good for business. We arrived to cool but warming temps sunny skies but that quickly gave way to clouds and a mackerel sky. Things were slow to get going but the water was in great shape, a little on the high side but full, clear mostly with a hint of stain, or great nymphing conditions. Tons and tons of sz 18-20 winter stones (Allocapnia, sp.) coming off…..tons of them. TONS of them. That is why a small dark nymph works wonders pretty much everywhere right now. By late morning though, the “Legend’, as Tomar is know as in these parts, cranked things up and we started catching fish regularly. We hit a couple of streaks where we caught one here one there, then we’d catch several back to back….also had on a large brown (wild fish) that I would have guessed at 25” or more, probably a solid 8lb fish or more… Larry made a cast and drift along a waist deep boulder studded bank, the indicator shot under , and the fish was on. It made several runs along the bank, came to the surface and made a large alligator roll, then another, then a short burst downstream and the fish came off…..we were both crushed. Not too much afterward we landed a fantastic rainbow which made up for the brown coming off a little…..a little. We fished one other spot before breaking for a midafternoon lunch where we killed them. Caught a lot of fish on stones….which were coming off like crazy, plus several good fish on my cranefly mop fly. The large brown we lost I believe ate the cranefly mop….big fish love it. We had a quick lunch, then fished several more spots til dusk, putting an exclamation point on a great day… Warm weather was odd after how colds its been..and we saw many trees that are already covered in buds…just waiting for spring, which will get here soon enough. Looks like a few days of warm and potentially some heavy rain coming for Sunday/Monday morning and then its back to more seasonable weather and maybe some snow as well. Headed out on Saturday to guide a client from Winston-Salem, NC and we’ll be hitting the TN tailwaters. Looks like cloudy with rain coming midday to late day and that to me speaks of good morning nymphing and some blue winged olives by midday or 1pm. We will see if that is what happens. Will be a great day with an old friend regardless….just like most of my trips. 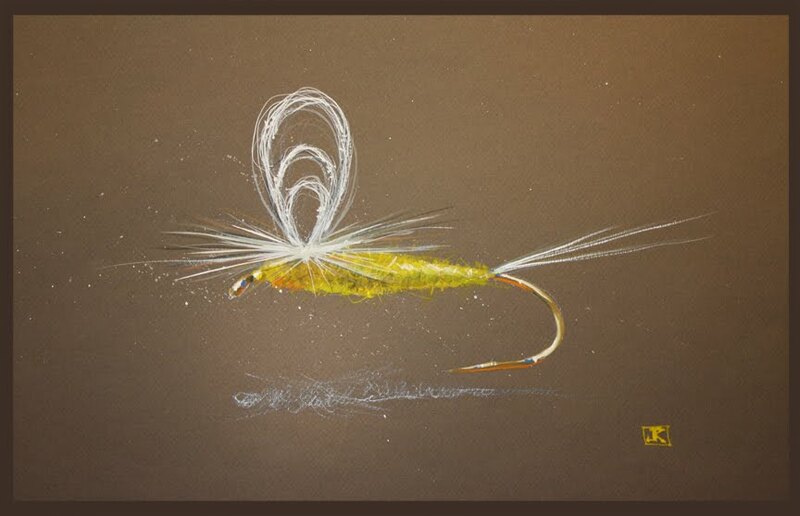 Our choice in premium fly fishing tools…..perfecting performance…. Tues…Jan. 17, 2017 Temps near zero, nearly a foot of snow and then less than a week later 70F and sunshine…..typical of winters here in Appalachia. At least that is how our weather can be sometimes. Water levels are in great shape though, and snow always has a way of doing that for the water table. In fact, many areas are at or near normal level for the first time in a long time. A lot of our river gauges locally looked like the one below on the South Fork of the New with the solid blue line at the bottom. This solid blue line indicates ice, or rather, that the river is frozen all the way across. Many waters were like that before the thaw. Local waters have fished pretty fair as of late, and TN tailwaters have as well. Time for the junk fly box (y2ks, squirmies, squirminators, mop flies, eggs, etc.) on NC waters, double rigs working well when you use a large fly or junk bug on top and a smaller fly (midge) as a dropper. Low flows (spilling) on the Watauga continue where a constant 160cfs has been the flow….a great level to fish. 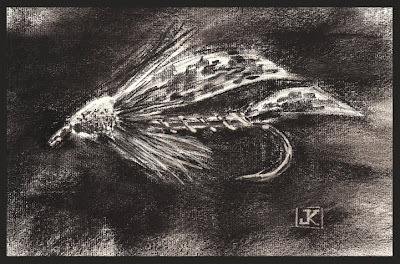 Midges, small bwos, and black winter stones (snowflies/willowflies) have been on the menu; if on the upper river scuds are always a good option. On the South Holston the TVA was sluicing, a constant 200cfs, but that is often erratic and you can enjoy it while it lasts but sometimes they only do it for short periods. Like this week. They were back to running full bore today (Tuesday 1/17) as they are “testing a unit”….that is code for “you don’t know what release you ‘ll get til you get it”. Fishing has been ok though, small bwos and midges, and the upper river still some post spawn browns around that you might fool on an egg pattern or junk fly. Some videos below you might find interesting…..the first two from one of our loyal equipment suppliers, Simms Fishing Products. The second is from our favorite rodmaker, Sage Fly Rods. I get a ton of stuff from both of them and I enjoy using every bit of it. They do a great job of taking care of Pro Staff & Guide Ambassadeur folks. Client Ron Davis and I put many serious bends in his new Sage 490-4 MOD (two photos below) on a late fall float trip on the South Holston. One great thing about the rod, incredibly light and well balanced it is and with a soft delicate tip like the LL, SLT, ZXL….feels a lot like them but with more oomph in the rear end. Also this 4 weight of Ron’s had a full wells front, which I had never fished on a 4 weight but liked a lot. 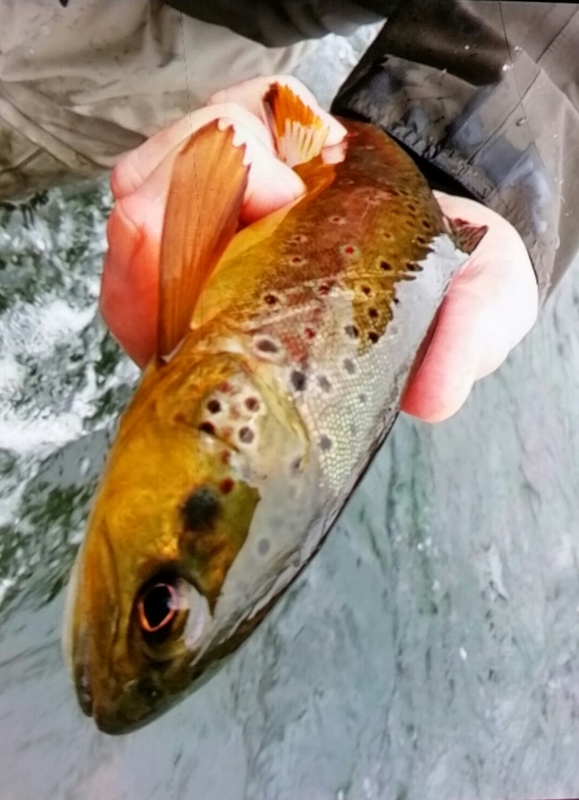 It was a great rod, and several nice South Holston browns and rainbows were landed on it ….fishing to rising fish….with dry flies….or as any rod should be broken in…right? Have some musky trips, local trips, and tailwater trips coming up this week, should have a few good reports. Thurs Jan 12, 2017 ….Our first post of the new year, thanks for a great 2016 even though it had several challenges including the loss of my mother, who went to be with the Lord in mid October after a long battle with a serious illness. One new thing for 2017 is regular posting again to this blog, which I had largely put on hold with so much family stuff going on. But it was still a great year in many respects, and some epic fishing…..never ceases to amaze me year in and year out how it seems to get better and better. God is so good. As many of you know, I retired the Blue Toyota Highlander in November, and I’d done so many trips in it , myself and with clients, that I probably should have had a memorial service for her….she was a great ride. If you only knew how many great fish and fish stories and trips she was a part of. I put 428,000 miles on it and it was still running strong, and sold it to a gentleman in Raleigh so know she can live out the rest of her days there…..of which I expect there will be many. Team Toyota lives on though, as I replaced her with a new trophy ride, a white 4wd Toyota Tacoma tricked out with some neat stuff too…….the only way it won’t go is if you dig a hole with a bulldozer and cover her up. Here is an up to the minute day by day report, in case you haven’t been out. 1-5-2017 FISHING REPORT – to 1-7-2017 FISHING REPORT – high water followed by bitter cold temps and heavy snow, temps in the single digits to around 0F. The type of weather we have every few years that is cold enough to freeze things over. Tailwater fishing like the Smith, Holston, Watauga are fine, however. We do have some fishing available in those places, so there are some fishing opportunities. Big warmup and a thaw coming……overall this snow and rain we had before it will provide for some excellent conditions and excellent fishing as well. We have openings….Let’s Go Fly Fishing! 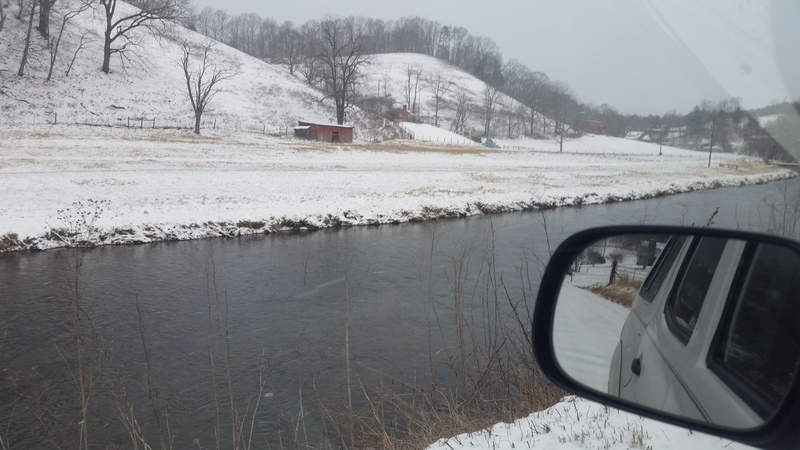 1-11-2017 FISHING REPORT – Some waters are fishable and in excellent condition, smaller waters clear first, larger ones last, high elevation larger waters last to thaw and clear ( Toe R drainage, South Fork New, North Fork New)…..small streams in counties Ashe, Alleghany, Watauga , Avery, Mitchell, etc., and others are fishable and conditions are better than they have been in a very long time. Water levels look great, clarity from slightly stained or green…..which is code for “fish should be easy to catch”. I surveyed at least 8 waters , 5 of which were what I’d say were in great condition, conditions in which I could step in with a client a catch a lot of fish. “Waiting til spring” or ” hoping for things to improve” = a lost opportunity at some of our best fishing of the year in relative solitude where I can fish for days on end and not see another angler. 1-12-2017 FISHING REPORT – Open/Available/catching fish not a problem, have been doing this deep winter flyfishing thing for over three decades and can put you on fish…..many of my regular clients know that cold weather offers some incredible fishing …..if you doubt, let me make a believer out of you. Don’t believe me, let me prove it to you. Tailwater fishing has not missed a beat, in fact on the Watauga the TVA has continued ‘spilling’ a constant 160cfs which is excellent, and I’ve had several 50 to 60 fish days there with clients so far over the past month. On the Soho, the TVA is now sluicing 200cfs and midge fishing is excellent in the am hours as well as nymphing with scuds and other patterns with some bwos in the afternoon on the upper river if you know where to look. In any case, our fly stock boxes are filling up from all the flies I have tied, and we are up and running strong out the gate and looking forward to a great 2017. I’ll be on the water in the morning………. have a great one! Til the last cast has fallen….